Hope everyone has gotten off to a good start in the New Year. This year’s Talking Points Blog column will be a shared project by Nicole Gallagher and Hugh Nicoll. In this, our first column, we are going to make a start by sharing topics of current interest with each other, and will be further developing our ideas for the blog with a face-to-face meeting in Tokyo later in February. Hugh: To help us get started I did a little brainstorming about where I am in my current practice and came up with a title phrase to serve as an introduction: “Arts education, learner autonomy, and learner advising.” This is, perhaps, a relatively short way of acknowledging my primary concerns of the last few months. The end of the academic year always means that my focus is on thesis advising. Art, and/or an arts education perspective comes into play because my seminar students are writing about American literature, and one of our main concerns is how particular authors create their aesthetic universes in exploring the themes of their novels, stories, and poems. Helping my zemi-sei develop the academic literacies they need for reading and writing about authentic texts, is therefore, a key concern. 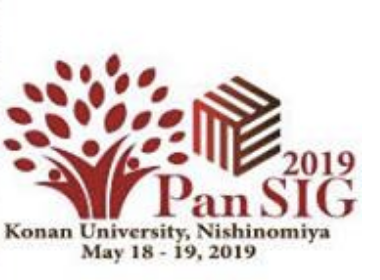 Nicole, I really enjoyed reading your account of your participation in the PanSIG conferences in 2014 and 2015, especially the ways you integrated your reports on the plenaries at the 2015 conference with your experiences as an ALT in Kumamoto. Can you tell me about how your perspectives on story-telling in the language classroom, and on the use of Japanese in the classroom have changed since you started working in university settings? Nicole: Hi Hugh. I like your self-subscribed position title “Arts education, learner autonomy, and learner advising”. I am curious to know how you integrate education on American Literature in a second language learning context to make it relevant and interesting for your university students. I mean…I studied English lit as an undergrad and I appreciate the value of studying about the ideas and the beauty and power of words and language. I wonder how this might change from your students’ perspectives, as Japanese non-native(?) speakers of English? 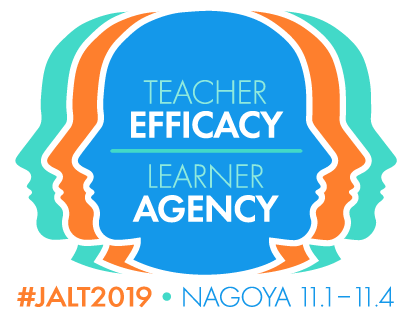 In the paper I wrote for LL22.3, which reflected on my experience as an ALT in Kumamoto, I described how personal stories could be used in the classroom. At the discussion course I teach at Rikkyo, I often encourage students to call on their personal experiences in the course as a way of enriching their ideas and making them seem more relevant. By drawing on their experiences, they create personal narratives that connect them more strongly to the discussion topics they are working through in class, which I think makes there ideas more attractive and convincing for their discussion partners. For example, if they are talking about gender and social pressure, they might recount stories about their own experience of gender. While we have not used any fictional storytelling in class in the fall semester, this might be an interesting thing to consider for the spring! I think a convincing argument could be made for devoting more time to story-telling as an essential aspect of a good discussion. Hugh: Hi again Nicole. Thanks for your most interesting question about how I am integrating the study of American literature in a second language learning context, and for your reflections on the discussion course at Rikkyo. My primary goal as a language teacher is exploring empowerment for learners. A synonym for empowerment, perhaps, though rather difficult to define, is “agency.” By using these two terms as touchstones, what I am trying to argue for is a practice that may help students make connections between their explorations of disciplinary content, language learning practices, and the ways these two areas of study may inform their lives, or, their development as lifelong learners. One of my main areas of interest in the past three or four years has been in exploring the overlaps (or ‘possible overlaps’) among exploratory practice, critical pedagogies for social justice, classroom based research, and learner autonomy. I am also quite interested in a bigger picture version of this cluster of topics which I’ll describe for now with the phrase liberal arts education and neo-liberalism. In this regard, there’s a timely new book just out from Sense Publishers, The Impact of Internationalization on Japanese Higher Education. A preview is available from the publisher’s web site. Also, Jo Mynard has just published a review of Elizabeth Miller’s 2014 study, The Language of Adult Immigrants: Agency in the Making. Can’t wait to read it! The puzzle for me, which I started to explore in my chapter in the LD Working Papers volume, is how we can help our learners become more critical readers, not only of American literature as an academic discipline, for example, but in the broad multi-literacies senses that philosophers of education have started to explore in recent years. I see this broad field of interdisciplinary study as having grown out of perspectives found in the works of Emerson and Dewey. More contemporary writers that interest me include philosophers of education pursuing Freirean inquiries, and those approaching the sociocultural aspects of education policy and practice inspired by Foucault, Deleuze, and others most often labeled as post-modernist. Most of the time, of course, I am too busy with the practical aspects of teaching and learner advising to devote as much time as I would like to study and reflection on these topics, but I do take a perverse delight in assembling teetering-tottering reading lists. Nicole: As for Japanese use in the classroom, one of my roles as an ALT in the high school classroom was to create a learning environment in English, so I never spoke in Japanese since I knew they received instruction primarily in Japanese in their regular English classes. We certainly encouraged the first year high school students were encouraged to use English as well, but due to the large class sizes of 40 students, maturity levels for group or pair work, and the relatively low class frequency (once a week, or once every two weeks), it was hard to establish an environment where the students were speaking English for the majority of the class. In contrast, in my current teaching context at Rikkyo University, the expectation is that the students should be speaking English 100% of the time while participating in speaking activities and discussions, where the average student speaking time is 50-60 minutes of a 90 minute class. These goals are primarily made possible by the course syllabus and class size. The syllabus includes units on communication skills like checking understanding, and paraphrasing, so the students are provided with the language tools to negotiate meaning in English and become more autonomous learners. The small class sizes of 7-8 students, makes it easy to have time for focused and concrete feedback on pair and group work, which can help the students to confirm what they are doing well and how they might improve their discussions. I believe that the course syllabus and class size are what make these classes successful in achieving a high rate of student speaking time. However, I sometimes wonder if some translation of Japanese vocabulary into English in class can be helpful for the students. One aim of the discussion course at Rikkyo is for students to be able to have discussions on their own, and so our department discourages teacher intervention during discussions. However, sometimes when I observe my students struggling with vocabulary – for instance, they have a word in Japanese they really want to say in English but they realise they don’t know it, I struggle with my desire to provide them with the words in English, and sometimes I do. I want to do this based on a reflection on my own language learning beliefs from learning Japanese, I often think being provided with a word just as you want to use it, is a good way to learn new vocabulary and may help you acquire it more successfully, while perhaps leaving the learner with the feeling of empowerment that they have learned something practical. However, as this might deter students from negotiating meaning themselves, many teachers may decide not to interfere with student’s process of meaning making. I want to engage with this topic of first language use in the classroom with regards to vocabulary acquisition a bit more and think about how it fits in with language learning in my current teaching context. Hugh: Wow! Thanks for the very thoughtful reflection on the use of Japanese in the classroom. We’re going to have a lot to share over the coming year, so I’ll just suggest that we close out this first 2016 Talking Points post by inviting readers to post comments and questions, and will devote some time to your language environment ideas as I finish up the year with my seminar students and start planning for next year. Nicole: And the same goes to you, it was great to hear about some of your ideas in regards to learner autonomy and student empowerment in the context of final year thesis advising. Can’t wait to check out some of the works you referenced, like the Impact of Internationalization on Japanese Higher Education. Look forward to catching up in person in a few weeks in Tokyo to talk about our future plans for this blog.